Small Butchers Block - Eagle Butchers Blocks; beautifully hand-crafted butchers blocks made from beech and pine, suitable for butchering, commercial kitchens or general kitchen use. 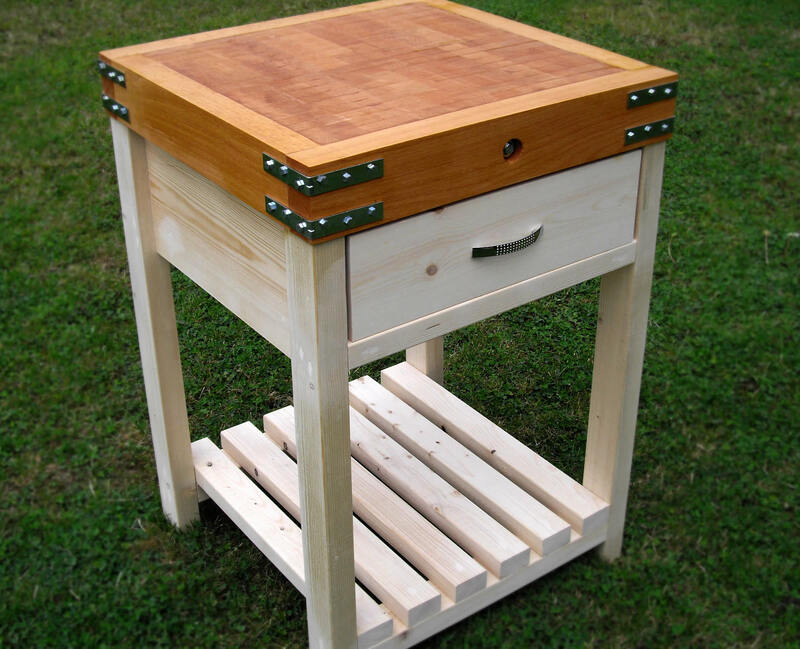 Small square butchers block with one drawer and plain stand. Butchers block in picture has standard beech knobs. Add castors, extra large basket or a towel/utensil rail if you wish.